RA Consulting Services, established in 1997, is an Intellectual Property driven Technology Services Company, committed to deliver innovative IT solutions, BPO/ITES services and IT Training worldwide. Today, leading organizations are using RA Consulting Services products to manage their enterprise needs. We invite you to join us as we embark on an ambitious growth plan for the future. Our partner program equips partners with the sales, technology, and marketing support needed to help them create compelling value for customers. RA Consulting Services will support you during the complete sales and implementation cycle to ensure your success. Epson's Business Systems Division is one of the leading suppliers of advanced point-of-service technology solutions and services for a wide range of industries from retail, banking and food service to healthcare, airlines and more. Today its industry-leading, smart technologies are at work in millions of POS systems around the world. Cisco (NASDAQ: CSCO) is the worldwide leader in IT that helps companies seize the opportunities of tomorrow by proving that amazing things can happen when you connect the previously unconnected. An integral part of our DNA is creating long-lasting customer partnerships and working with them to identify their needs and provide solutions that support their success. John T. Chambers is the Chairman and Chief Executive Officer of the $47 billion company which has over 75,000 employees globally. One of the most recognized brand names in the world today, Sony Corporation, Japan, established its India operations in November 1994, focusing on the sales and marketing of Sony products in the country. In a span of 16 years, Sony India has exemplified the quest for excellence in the world of digital lifestyle becoming the country’s foremost consumer electronics brand. With relentless commitment to quality, consistent dedication to customer satisfaction and unparalleled standards of service, Sony India is recognized as a benchmark for new age technology, superior quality, digital concepts and personalized service that has ensured loyal customers and nationwide acclaim in the industry. 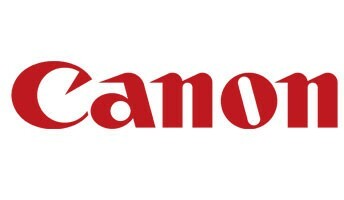 Incorporated in 1997, Canon India Pvt. Ltd. is a 100% subsidiary of Canon Singapore Pte.Ltd; a world leader in imaging technologies. Canon today has offices spread across 10 cities in India with an employee strength of over 1050 people and markets 160 comprehensive range of sophisticated and contemporary digital imaging products in the country. These include digital copiers, multi-functional peripherals, fax-machines, inkjet and laser printers, scanners, All-in-ones, digital cameras, digital camcorders , dye sub photo printers and semiconductors, card printers & cable ID printers. Oki Systems UK, part of OKI Europe, a division of OKI Data Corporation is one of the UK’s leading business-to-business printer brands. It is dedicated to continuously improving the quality of products, applications and services to help increase the efficiency and reduce the carbon footprint of businesses and other organisations. SAP is at the center of today’s technology revolution, developing innovations that not only help businesses run like never before, but also improve the lives of people everywhere.As the market leader in enterprise application software, we help companies of all sizes and industries run better. From back office to boardroom, warehouse to storefront, desktop to mobile device – SAP empowers people and organizations to work together more efficiently and use business insight more effectively to stay ahead of the competition. Microsoft Corporation is a multinational computer technology corporation that develops, manufactures, licenses, and supports a wide range of software products for computing devices. Headquartered in Redmond, Washington, USA, its most profitable products are the Microsoft Windows operating system and the Microsoft Office suite of productivity software. As of the third quarter of 2009, Microsoft was ranked as the third largest company in the world, following PetroChina and ExxonMobil. Founded in 1993, Polaris Financial Technology Limited (BSE: 532254 | NSE: POLARIS) is a global leader in Financial Technology (FT) for Banking, Insurance and other Financial Services. The organization offers superior technology solutions through its two specialized divisions that enable clients unprecedented operational efficiency - FT Services and FT Products. Nucleus Software is a leading global IT products and solutions company that delivers consistent value to mission critical business processes of Banking and Financial Services sector. With a robust portfolio of IT products and solutions for the BFSI industry that has been delivering value consistently over the last 27 years, Nucleus Software is one of the pioneers who have successfully taken the India IT product story to the world map. Shriv ComMedia Solutions (SCMS) – an advanced global IT and BPO service provider from India, is focused to offer flexible business-centered solutions that enables to improve day-to-day implementation of our client’s business strategies. We work to develop and support software that facilitates our customers to have quality, worth, and value of their time and money. Looking for a First-Class Consulting service?